Processing vegetables can be a challenge when the vegetables do not ripen all at once. 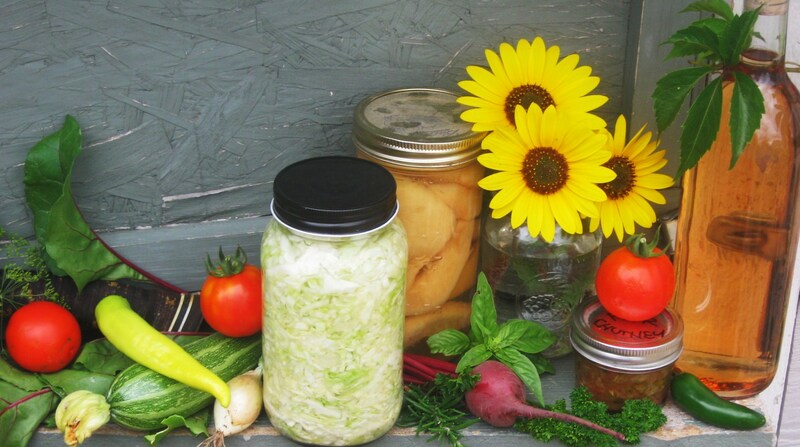 Take control of your harvest by cold-pickling your fresh picked veggies a jar at a time. You will need: clean glass canning jars and lids, cider vinegar, fresh herbs and your cleaned vegetables. Enjoy this video clip (there may be a slight delay). 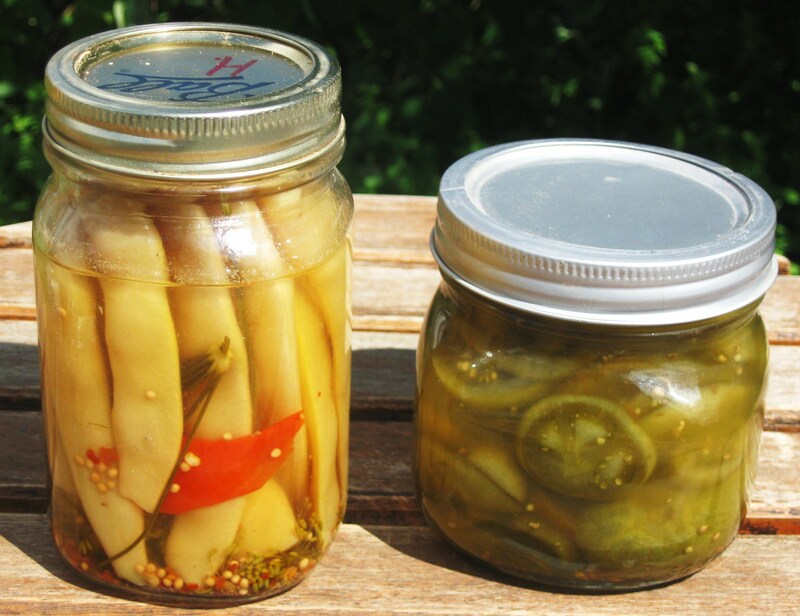 Cold-Pickling Your Veggies – A Jar at a Time. Thanks sp much! This is where I fall down on the job in the garden and I can use all the help I can get. yay! Thanks. I refer to this as lazy day canning! love the cold processing. It can be really daunting, to get bunches of produce canned up. I do it in small batches. And some I do later…ie: berries. Pick ’em, freeze ’em then make jam in autumn when the stove on is a welcome thing. Great plan – Pick’em, freeze ’em then can ’em later. Life is beginning to get much simpler. Thanks for sharing! I’ve done my time over the hot water canner in summer…with age comes wisdom they say, maybe I’m getting some of that wisdom since I sure got the age thing goin’ on!